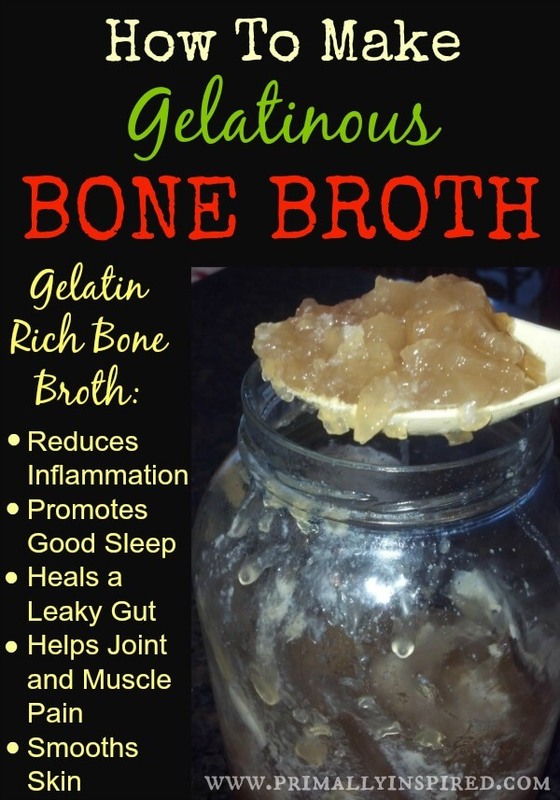 Home / Real Food Recipes Blog / Beef / Why Didn’t My Bone Broth Gel? 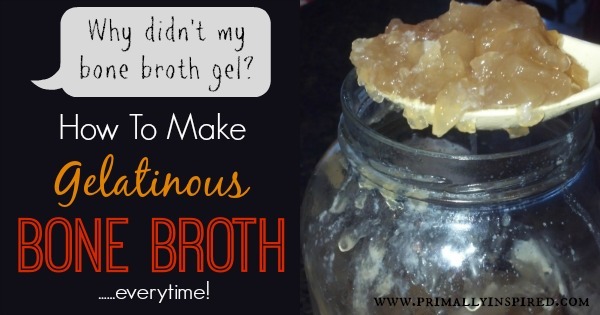 Why Didn’t My Bone Broth Gel? So here’s your troubleshooting guide as to why your bone broth didn’t gel and how to make a perfectly gelatinous bone broth everytime. I’m a huge advocate of regular consumption of bone broth for many reasons. Bone broth is the best way to “heal and seal” your gut. And a good gut is the very cornerstone of health. There are many health benefits of bone broth from helping digestion to easing joint pain. You can learn about the many health benefits and why I’m such a fan of bone broth in my post HERE. Do you want to learn how to make bone broth? Read my post HERE. Your bone broth didn’t gel because you used too much water. This is the most common mistake of making bone broth. The ratio of bones to water is very important. Use only use enough water to completely cover the bones. Your bone broth didn’t gel because you used low-quality bones. Conventional factory farmed animal bones don’t produce much gelatin. Use pasture raised animal bones for best results. Feet, oxtail and knuckle bones are the best for producing a gelatin rich bone broth. Your bone broth didn’t gel because your stock was not cooked long enough. Your bone broth didn’t gel because your simmering temperature was too high. Simmering bone broth at higher heats can actually destroy the collagen and form MSG. It’s very important to turn the heat way down to the lowest possible setting when making bone broth. Your bone broth didn’t gel because you didn’t use enough bones. Try adding more bones or include bones like knuckle bones, feet, heads, and oxtails. Remember, the ratio of bones to water is very important. Only add enough water to completely cover the bones. 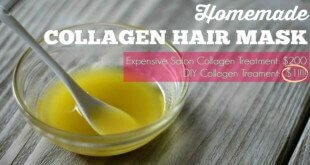 Strengthen your hair with this simple homemade Collagen Hair Mask recipe! 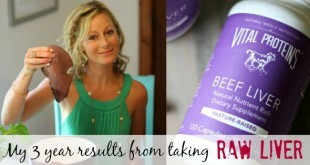 In just 1 application, you'll notice, healthier, stronger, smoother, shinier hair! I can’t often afford free range chickens (I’m currently unemployed). I will occasionally buy a supermarket rotisserie chicken and freeze the carcass once most of the meat is stripped. When I have a few birds, I’ll place two or three (if three fit) in my slow cooker, cover them with water, and set it on low for 10 hours. I’ve never gotten much gel, either from too much water or a lesser quality of bird, but the broth comes out with a nice clean, rich flavor, and I use it for all sorts of dishes. (This time of year I make LOTS of soups.) When I can afford a better quality poultry, I’ll have to note if I get a better gel. In the meantime, I love my slow cooker bone broth! When I make my bone broth I let the whole pot sit overnight in the fridge and mine always gels. I also use the bones from my leftover rotisserie chicken. It seems that when I used the slow cooker in the past it didn’t gel. Not sure why? I followed the suggestions listed here and my broth is very rich and is thick but doesn’t quite ‘gel’ like your picture above. Is that still ok and has gelatin? I tried it in a big pot this time since my slow cooker cooks so darn hot on low and I simmered for 24 hours. I couldn’t find any chicken feet, but I did have a chicken back. 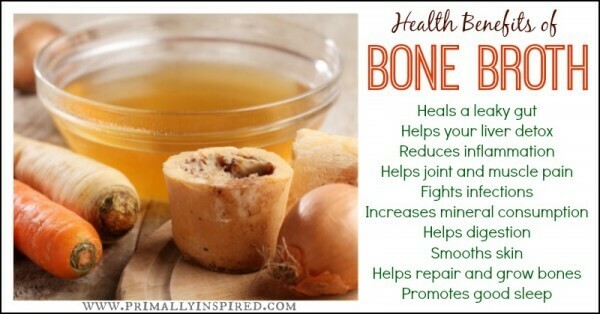 love bone broth!! Is it best to begin with raw bones for bone broth or do you get the same result with using previously cooked and stored bones as the first poster does. That sounds like a good and economical idea but am just wondering if there is a difference in benefits? bone broth is a way to get all the flavor from a stripped carcass, get more minerals into your diet, cook a lot of the gelatin from the joints and hopefully it so it can hopefully heal YOUR joints as well as other issues. to get the most minerals from the bones add a couple TBSP of vinegar to your water. the minerals will help the broth not taste sour when you eat or drink it. it really doesn’t change the broth much whether you precook them or not. you might notice more chickeny flavor, or might not need to cook it down quite as much, but mostly I think it’s pretty similar. Thanks so much for your advice and feedback, Kitty! That’s great! I’ve read a few “how-to’s” on making bone broth. A few state par boiling the bones. In other words, bringing them to a boil, dumping off the water rinsing them and then starting the long cooking process. Do you think this step is necessary? Or would you just be losing valuable nutrients by doing so. Apparently one of the benefits of this is getting rid of the bone smell that’s present in bone broth. Also, I was wondering if it is necessary to skim off the fat. Once the both broth gels and the fat separates on top should you discard that part or can it be consumed when the broth is reheated and the fat once again becomes a part of the broth? I have read that some believe that is where the toxins from the bones are and that is why it is discarded. I know the fat may not appeal to some people but I have always liked the fat layer on top of homemade soups. Hi Rachel! Roasting bones before-hand gets rid of the smell and what I prefer to do instead of par boiling them. It’s up to you whether you want to skim off the fat. Some people do and others don’t. I don’t! I love that fatty layer, too 🙂 Some people skim off the fat layer and then save it for cooking, too. Toxins do tend to accumulate in the fatty tissue, but I personally don’t worry about toxins in the fat when I am consuming meat or broth from pasture raised animals from my local farm. I know the animals were healthy, raised properly and were grazing on chemical free grass – and there are many beneficial nutrients in that fat! so i made my first batch of broth yesterday. i was so excited and felt so accomplished. i noticed it wasn’t gelled. i was hoping i’d wake up to a miracle this morning but still no gel. i am trying to add some things to our diet to help with my children’s teeth. do you think this will still bring benefit or do i need to start over? i think i used too much water. everything else on your list was fine. thanks! Quick question: do you strain your bone broth when finished? Also, do you have a link to your actual bone broth reciep? Using apple cider vinegar brings out more minerals according to Weston price recipe. And there is no sour vinegar taste. Hi. Thanks so much for the info! My experience with bone broth is hit or miss. Last time I had it with a mix of grass fed cow stock bones and the bones of 1 roasted chicken and bunch of veggies. 6 hours on the stove and it was sublimely gelatinous. I followed the same approach yesterday and ended up with troubled water. I let the beef bones come to a boil so I could skin off the foam and I am wondering if I over cooked them and destroyed the collagen in that few minutes? My second question: although I do NOT have gelatinous broth, does it still have nutrient value or did I waste my hard-to-find grass fed beef bones? One recipe I followed said to let it cool then skin all the fat off and throw it away. It seems as though the fat is where the nutrients are?? Are most of the nutrients in the gel/fat stuff or in the liquid broth? Here’s a simple thing we did yesterday. After we roasted a large turkey, we had the usual drippings in the bottom of the roaster pan. I strained all the liquid into a glass bowl, using a regular stainless steel kitchen strainer, to catch the large fat chunks. It was a store-bought bird, so I was a little wiggy about keeping the fat. We left the bowl undisturbed and the drippings separated with a nice fat later on top. We scooped out all the fat we could with a ladle and put the bowl in the fridge over night. In the morning we had about 5 cups of solid gelatin. We are freezing the carcass until we have a couple pounds of bones. Sounds like the problem most people are having is over dilution? I’m going to try breaking the bones up a little so what I have in the put is more dense (more bones to water). I wonder what would be the problem with using less water anyway. As the bones cook down the ones on top will eventually be submerged. Just a thought. I try it and repast results. I am wondering almost the same thing as Neil. Would it gel better if we were to break up the bones into smaller pieces so we aren’t adding enough water to cover a longer bone? I hope what I’m saying makes sense. Yes, that’s a great idea. Breaking up large bones also makes it easier to extract more of the gelatin/minerals out. I cooked mine in a Crock Pot on the ‘Low’setting, which essentially cooked it at a low boil for 48 hours. It is as thick as oil after being chilled, and not jello, which apparently is the consistency it should be. Do you think it is dangerous to consume the batch I made, or can I still consume it? No, yours is great! It only will get like jello in the fridge if there’s enough gelatin (or the right ratio of bones to water). But if not, it’s still extremely nutritious and full of minerals and beneficial nutrients. Thanks for the prompt response! I had about 2 pounds of bones with about a gallon of water. I’m just worried that the gelatin that was released from the bones has been fried so much that it won’t gel anymore than to it’s current oily consistency. But you think it should still be fine to drink? At what point would the Broth become like MSG as you talked about above? Yes you should be just fine at low on your crockpot for 48 hours. You just want to avoid a rapid boil (or high heat) for hours at a time. If you had your crockpot on high for 48 hours – then, that’s another story! Hi. This has been helpful. I clearly use too much water. I have a batch in the fridge now. Just waiting for it to congeal. If it doesn’t have much jelly or none can simmering it help. I thought maybe if it were more concentrated it would get gel. I have heard that simmering does help concentrate it. I’ve never done it, though! My pressure cooker cookbook has a broth recipe. Perhaps I used too much water but it didn’t really turn out. What do you think? Thank you for all the information. I have never let my stock gel. Hmm. I and going to try that. i make stock all the time. I am now ruined for canned anything. Haha. I usually get a nice deep green color and it smells and tastes great. Keep the ideas coming! 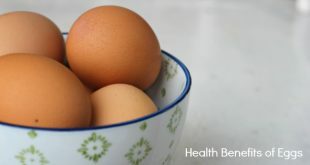 I am especially sensitive to MSG so I am curious about where you got this information as I cannot find it anywhere else: Simmering bone broth at higher heats can actually destroy the collagen and form MSG. It’s very important to turn the heat way down to the lowest possible setting when making bone broth. And if I have a gelatinous liquid, can I assume it did not form MSG? Hi Jet! Glutamic acid is present in a ton of natural foods, including bone broth. It’s just a naturally occurring amino acid. In it’s natural form, it’s bound to other proteins. MSG is the isolated form of glutamic acid. It’s found in processed foods at a crazy high amount, far greater than anything you would find occurring in nature. However, natural MSG can occur when the protein bonds of glutamic acid break. If you cook the bone broth at too high of a temperature, it will denature some of the proteins and create the free form of glutamic acid (natural MSG). Should I put a lid or cover on the pot when simmering? It seems covering it makes it boil too hard?? I don’t cover it, Joann! This was my very first time making bone broth. It did not gel, but after reading your comments, I am convinced, I used to much water. I also cooked the bones in a crocked pot on high for 72 hours. Have I destroyed my both? Do I have an MSG issue? Should I throw this batch away, and start over? I am afraid to consume my broth at this point. I strained, skimmed the fat, and placed in freezer until I know what to do with it. HELP! Hi! I just put my broth in the refrigerator and realized I never roasted my bones! I put them straight from the freezer, into the pot. I used a lot of high quality, grass fed bones. 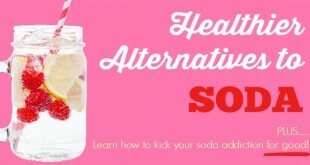 I also used apple cider vinegar. Will it still be as nutritious if the bones weren’t roasted?? Yes, definitely, Trish! The roasting is mainly just for flavor 🙂 Enjoy! This is so helpful, thank you! I am intrigued by bone broth. I’m waiting to make another batch. I live in a very small town with 2 grocery stores. Neither store has any “bones.” So, I’ll have to wait to buy some meat or chicken and get bones from that. What about pork bones or deer bones? Also – hope this doesn’t sound crazy, but once it gels, then what? Do you eat the cold gel? Do you cook with the cold gel? I’m a little confused. — However, THANK YOU SO MUCH for this post!! I’ve already learned a lot! Hi Martha! I’m excited for you to try bone broth! Any bones are great – pork and deer make a wonderful broth. Once it gels, you can warm it back up and consume it or cook with it. It will return to liquid when warmed, but you can be sure all that great collagen is still in there! Enjoy! Cant i use a instant pot or pressure cooker for bone broth. Would the temperature be too high? Hi Elise, yes, the instant pot and pressure cooker makes excellent bone broth! I do a 90 minute cycle in my instant pot and it comes out so good!